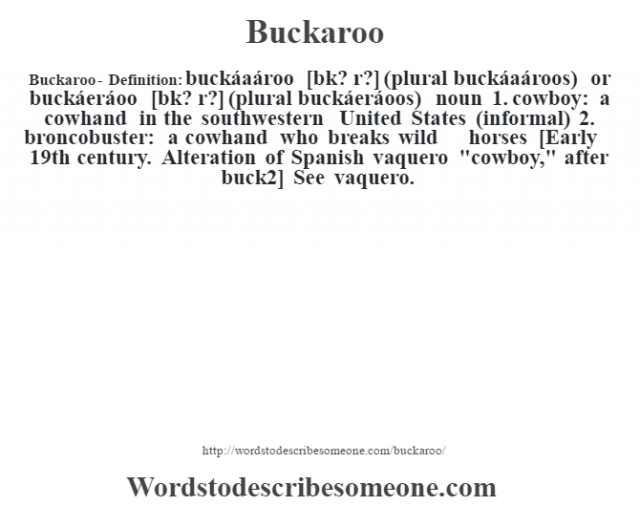 Buckaroo- Definition:buckáaároo [bk? r?] (plural buckáaároos) or buckáeráoo [bk? r?] 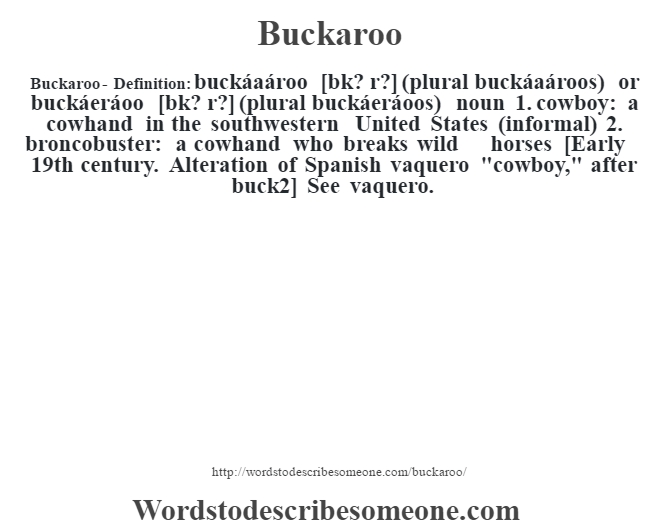 (plural buckáeráoos) noun 1. cowboy: a cowhand in the southwestern United States (informal) 2. broncobuster: a cowhand who breaks wild horses [Early 19th century. Alteration of Spanish vaquero “cowboy,” after buck2] See vaquero.